As the nights draw in why not cosy up with the family and decide how you would treat yourselves with a £100 John Lewis voucher to spend, thanks to Equazen®. Equazen, the clinically researched omega 3 supplement, is offering five John Lewis vouchers to give away worth £100 each. Will you pick something for yourself or for everyone to share? How about some new kitchen equipment to serve up some winter-warming nutritious family meals? Nutritionists know that fatty acids are an important diet must have, as they have a specific role to play in brain development and normal function, yet the reality is that only 1 in 25 children consumes the Government recommended intake of oily fish. Equazen is a clinically researched blend of Omega 3 essential fatty acids, that can help bridge the nutritional gap. 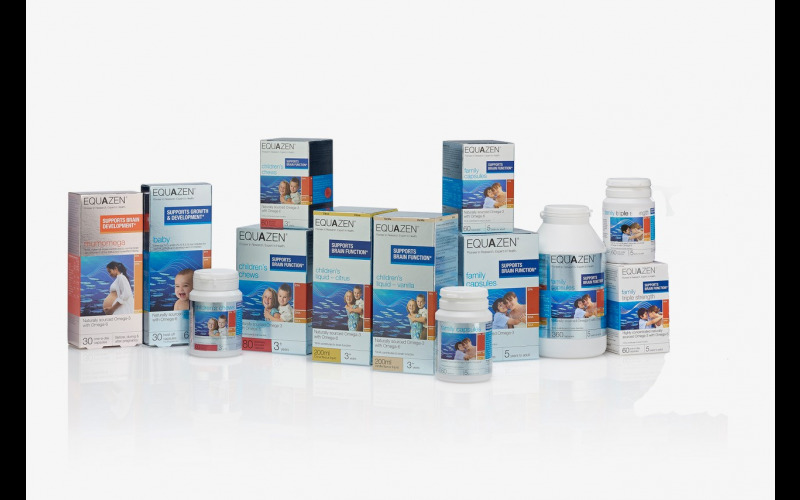 Backed by years of research, only Equazen has the precise EQUABALANCE™ ratio of essential fatty acids including DHA which helps support brain function. The Equazen range includes capsules; strawberry chews and citrus liquid, which are ideal for children who don't like swallowing capsules. Plus, for mums-to-be there is Mumomega specially designed for the demands of pregnancy and then Equazen baby for babies from 6 months to 3 years. For more information visit Equazen online.